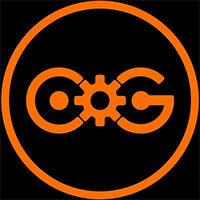 It’s unfortunate the story was sidelined a bit, but the implantation of couch co-op surely helps makes up for it. I could easily see myself going back later on to finish all the extra challenge levels with a friend. Though its story is ambiguous, one message comes through loud and clear: having people to depend on is what keeps us going in life, and Unravel Two is a gentle and effective reminder of that. Although I enjoyed Unravel Two, I found certain climbing sections awkward, lacking animation in comparison to the rest of the game. The tutorial also felt like a drag and the story wasn't overly engaging. However, even without dialogue, I enjoyed the cute interactions between Yarnys, the relaxing atmosphere accompanied by a beautiful soundtrack, and coming up with solutions to the various conundrums in a magical world. 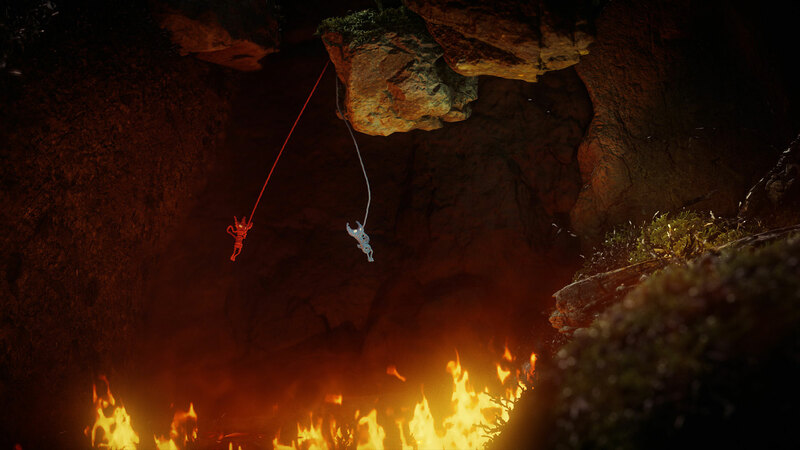 Unravel Two has quickly become one of my favourite titles of 2018 so far. When it’s not challenging your reflexes it’s challenging your brain. And when it’s doing neither of those, it’s tugging on your heart. It’s a game that’s masterfully created, building on the gameplay offered in its predecessor but making it more punchy and enjoyable. Unravel isn’t a game that necessarily needed a second game in the franchise to solidify its legacy. The new ideas found in Unravel Two could have very well been a brand new franchise in itself as the inclusion of cooperative gameplay and challenge levels seems to have led to a lack of charm in this follow-up. Unravel Two is visually stunning. Even during the E3 reveal you could tell how great the game looked even if the reveal itself felt a little stale. Much like Yarny’s original adventure, outdoor environments shine and steal the show. Inside locations look better than they did in the original, but are still outshined by anything outdoors. I don’t regret having played this, but I do wish it was better. 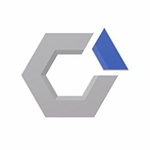 I love playing co-op games and I was excited by the idea of this minimalist platformer giving me an experience to bond over. Sadly, we both were pretty much in agreement on the final outcome. Unravel Two just doesn’t quite have what it takes to be special. If you can set aside the odd storytelling decisions and the occasional platforming quirk, Yarny’s newest quest is one you won’t want to miss. The puzzles are often satisfying to figure out and pitch perfect when it comes to difficultly, the musical score is outstanding, and the overall presentation continues to make Yarny stand out in a very old and crowded genre. 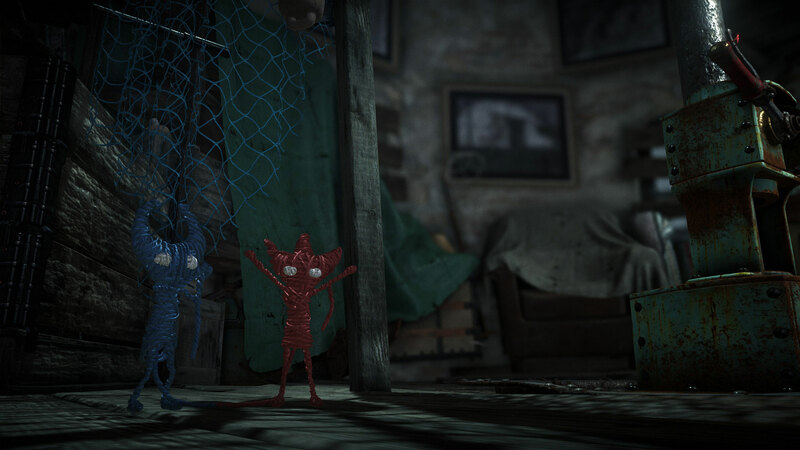 Faltering only in small ways on occasion, the second outing into Yarny’s world is still absolutely worth having, and if you want to get the most out of it, share the experience and bring along a good friend. Unravel Two is a quick journey, but one that does its predecessor justice. 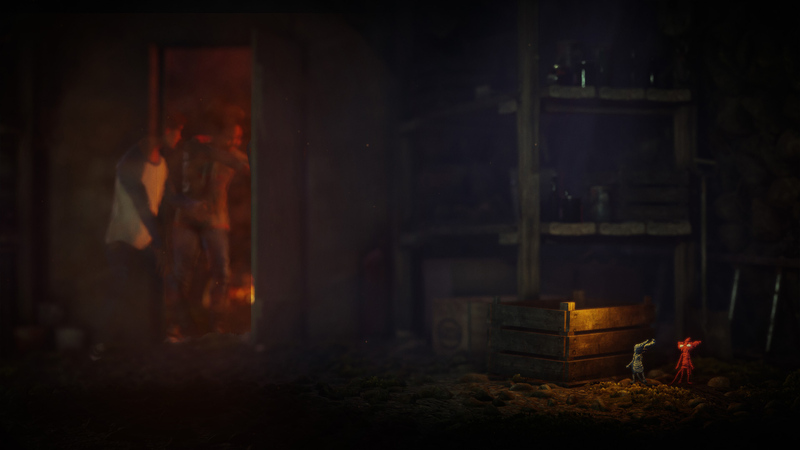 Coldwood have not just avoided the types of hazards associated with co-op, but also used them to great advantage in order to expand upon their gameplay in the ways that the best sequels do. The puzzles are a blast, the graphics and environments are jaw-dropping, and little bonuses such as the challenge levels provide a good incentive to keep coming back for a while. It may not hit the same emotional heights as before, but the latest outing for our stringy heroes is one that cements them as the stars of a classic franchise in the indie gaming scene, so don’t miss it. 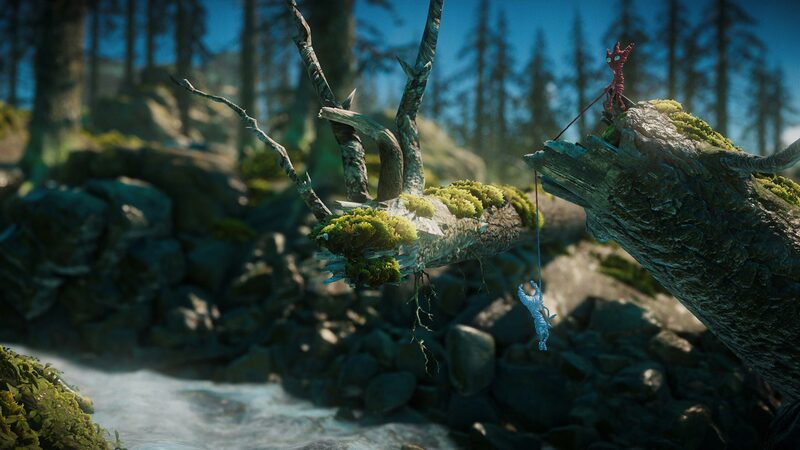 Unravel Two looks to expand and improve upon the critical success of its predecessor. Charming and beautiful, Unravel Two does have some bright spots. However, those spots are few and far between thanks to some clunky platforming and dull puzzles throughout. When it comes to impressive video game sequels, Unravel Two is up there with the best. Its awe-inspiring world and pitch-perfect gameplay make it one of the best 2D platformers ever created. I can't wait for Unravel Three. Unravel Two demonstrates an understanding of its predecessor’s flaws, and makes quite a few interesting changes to make its own spin on the puzzle-platformer genre feel fresh two years after the original. I just don’t think it delivers on its promise of a cooperative version of what makes the series great, as earnest as I think its inclusion may have been. Unravel (2016) era un juego visualmente precioso, cuyas mecánicas de juego poco pulidas le agregaban secuencias frustrantes y le restaban varios puntos. Yarny está de vuelta y, en esta ocasión, sus creadores se han encargado no solo de mejorar sus movimientos y la física del juego, sino agregar un modo cooperativo que, quizás, diluye la dificultad que el usuario promedio esperaría. 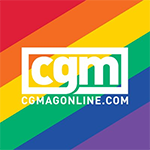 Lo hemos hablado alguna que otra vez en nuestros análisis. Hay algunos juegos que, sencillamente, tienen buen corazón. Puedes sentir cómo el equipo detrás de ellos se ha dejado el alma en crear algo que consiga transmitir sentimientos al jugador. Hay juegos que simplemente quieren hacernos sentir un poco niños, y hacer que sonriamos, que nos asustemos y que nos sorprendamos. 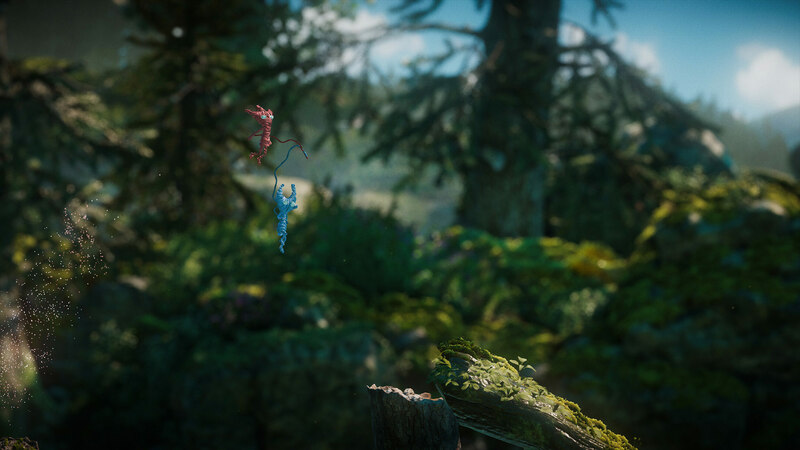 Y Unravel Two es uno de ellos. Unravel Two sigue siendo un bello híbrido entre plataformas y juego de puzles, que ahora se puede disfrutar en compañía, pero que deja la sensación de ser demasiado continuista, que no arriesga y que apenas aporta novedades de peso. Incluso gráficamente resulta demasiado parecido a su antecesor, con unos entornos resultan demasiado parecidos. Unravel Two es, como el original, una bonita aventura de puzles y plataformas con un encanto especial. La apuesta por el cooperativo contribuye a crear desafíos más interesantes, también más divertidos, aunque si en su día disfrutaste del original, echarás en falta más originalidad en los retos que plantea. También el diseño de los rompecabezas, si bien es atractivo, resulta por momentos demasiado sencillo, sin profundizar demasiado en el juego en equipo. Pese a todo, el videojuego de EA Originals tiene calidad suficiente como para atrapar a los apasionados a esta clase de desafíos. Impreziosita da una direzione artistica encomiabile e da alcune meccaniche piacevoli, Unravel Two si configura come un’esperienza certamente più ricca e divertente sul piano ludico, ma fallimentare nel tentativo di dire la sua sul versante delle esperienze sensoriali. 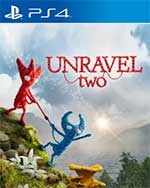 Unravel Two è una piacevole avventura, che offre qualche ora di divertimento e di piacevoli enigmi, il tutto condito con un'atmosfera sognante e dolcissima. I puzzle sono piuttosto semplici, tranne in qualche raro caso e il gioco mira ad accompagnare piuttosto serenamente verso il finale. L'inserimento di un secondo personaggio che da vita a un gameplay nuovo è interessante, ma toglie un po' l'identità al titolo, che ne esce lievemente sconfitto se paragonato al precedessore. La collaborazione fra i due personaggi, che si traduce nella possibilità di affrontare l'avventura da soli o in cooperativa con un amico, rappresenta il cardine di un gameplay che anche stavolta inanella enigmi ambientali sempre più sfaccettati, ma mai davvero complessi e spesso accomunati dalla medesima chiave di lettura, il che trasforma alcuni livelli in una passeggiata gradevole da vedere ma un po' troppo banale da giocare. Unravel Two breidt het concept van het eerste deel succesvol uit en legt de focus op de gameplay in plaats van het schattige personage. Dit komt de funfactor alleen maar ten goede, waardoor je een platformer voorgeschoteld krijgt met (lichte) physic based puzzels die je af en toe out of the box laten denken. Hoewel de hoofdgame aan de kortere kant is, rekken de verdraaid lastige challenge levels de speelduur op.